Originally published in 1971 Evolution – Revolution is an interdisciplinary volume examining inquiry around the central topic of evolution and revolution. 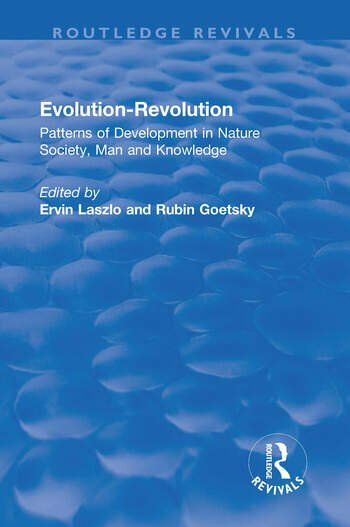 Containing contributions from a number of eminent academics of the time, the book addresses the meaning and application of evolution and revolution in the context, not of what things are, or even how they behave, but how they become. The broad interdisciplinary range of essays explores this concept through the idea of development and change and argues that both change, and development must be measured against concepts of flux and that which endures. The editors of the book suggest that these are the ‘invariants’ which contemporary thinkers are beginning to accept as the process-counterparts of Platonic ‘immutables’. Thus this volume examines the two ‘immutables’ of evolution and revolution. The book covers the concept through essays in science, philosophic concepts of rationalism and existentialism, art and religion.